From Sanaa to San Francisco in The Week in Pictures. 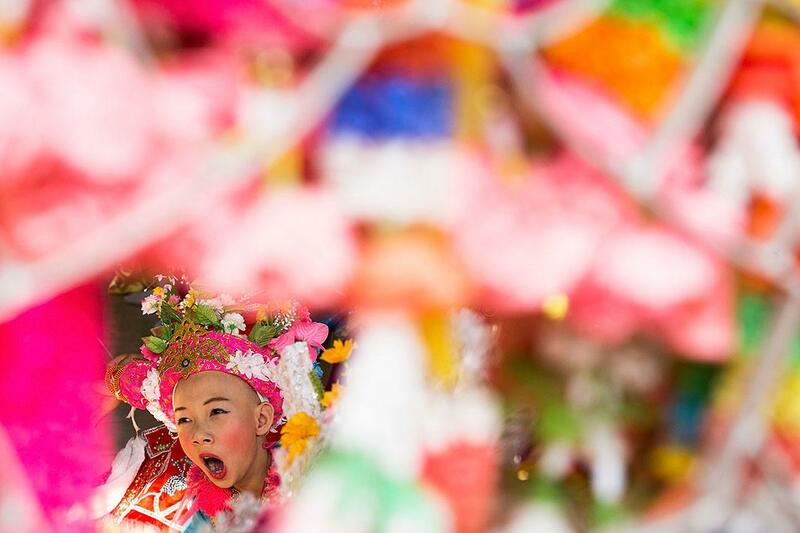 A boy waits for a Buddhist ordination ceremony to start during the Poy Sang Long Festival on April 1, 2015, in Mae Hong Son, Thailand. 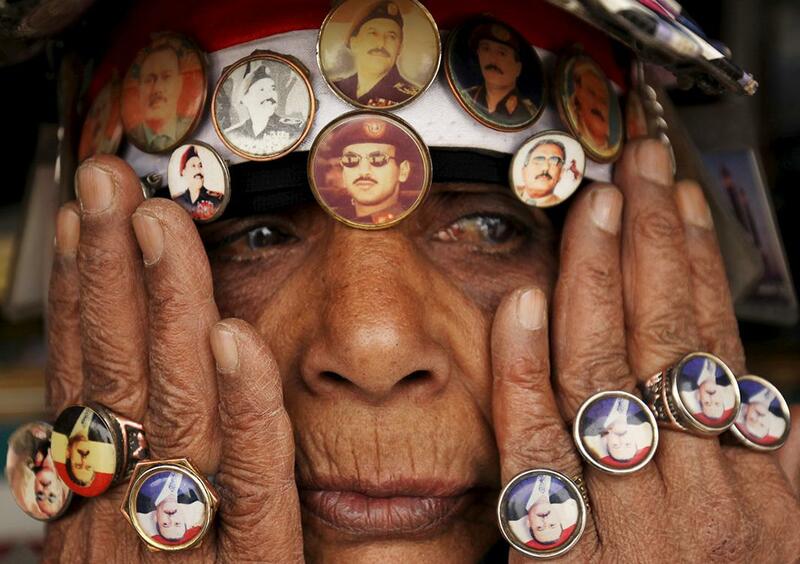 A woman supporting Yemen’s former President Ali Abdullah Saleh wears a pin with an image of Saleh’s son Ahmed Ali Abdullah Saleh (center) during a rally against airstrikes in Sanaa, Yemen, on April 3, 2015. 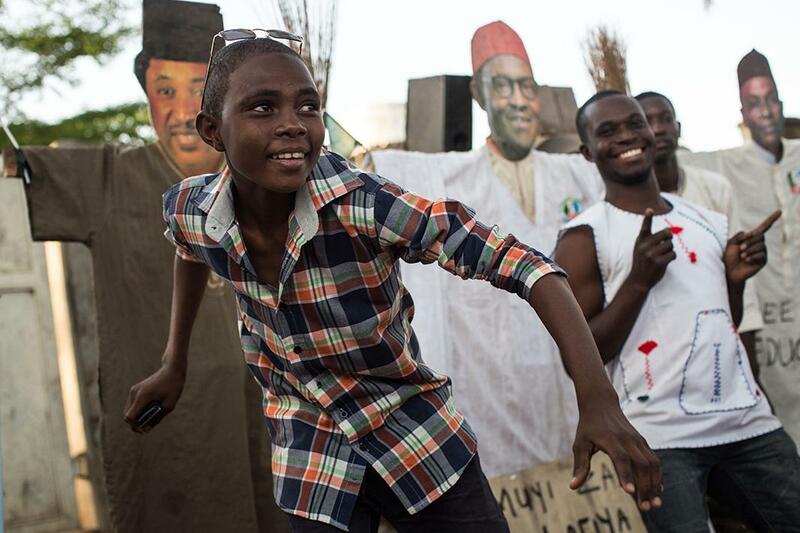 Young men dance in front of a makeshift effigy of former military ruler and presidential candidate Muhammadu Buhari in Kaduna, Nigeria, on March 29, 2015. Buhari won by a landslide and was inaugurated on April 1. 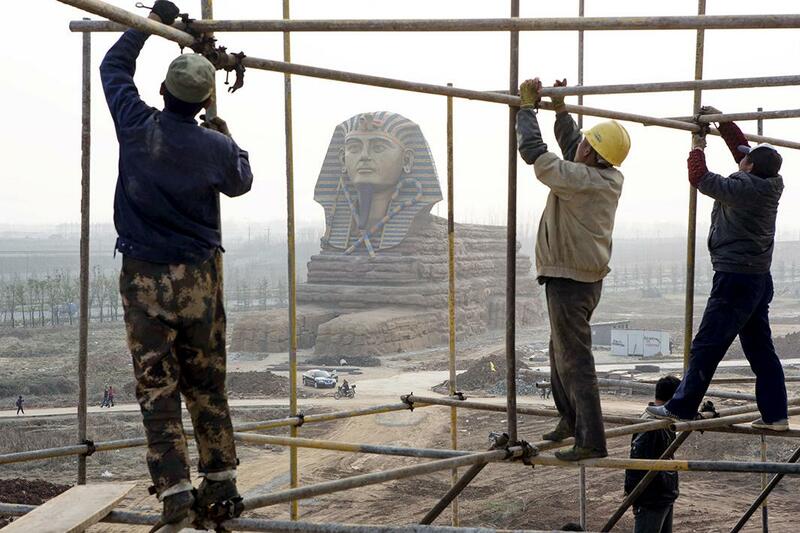 Laborers work on scaffolding near a full-scale replica of the Sphinx at an unfinished movie and animation tourism theme park, in Chuzhou, Anhui province, on March 27, 2015. 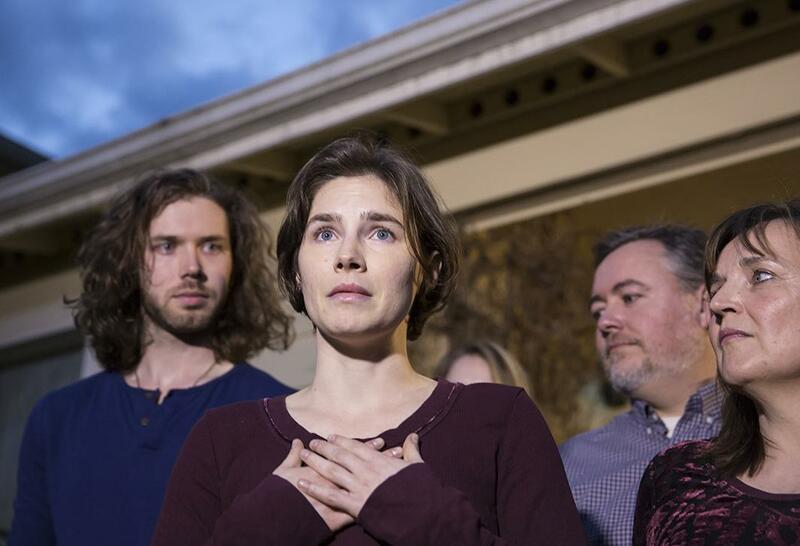 Amanda Knox speaks to the media during a brief press conference in front of her parents’ home in Seattle, following her acquittal by Italy’s highest court in the 2007 murder of Meredith Kercher, on March 27, 2015. Standing with Knox are her fiancé, Colin Sutherland (left), and her mother, Edda Mellas (right). 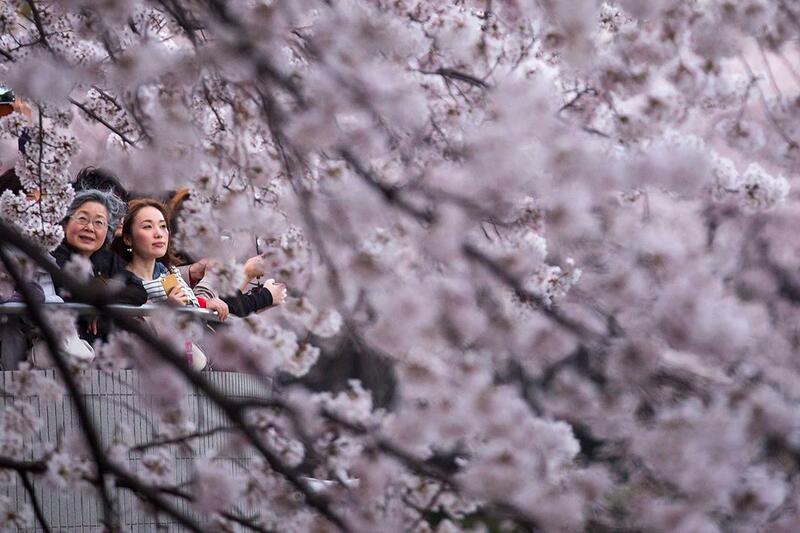 People view blooming cherry blossom trees at Chidorigafuchi on March 31, 2015, in Tokyo. 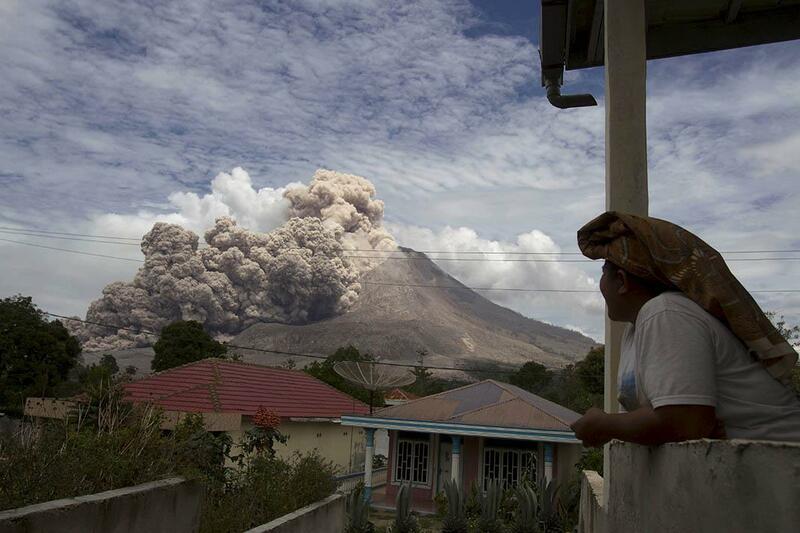 A villager watches as Mount Sinabung volcano erupts, in Kuta Tengah village, Karo Regency, in Indonesia’s North Sumatra April 1, 2015. 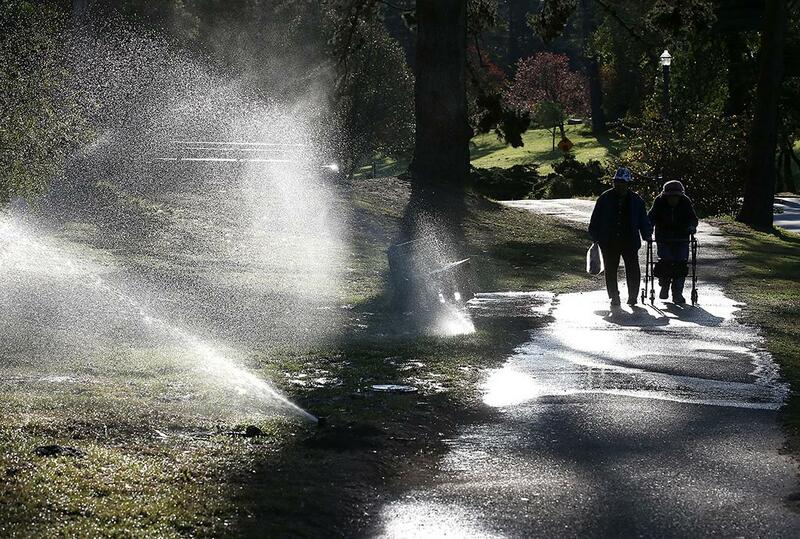 Sprinklers water the lawn in Golden Gate Park on April 2, 2015, in San Francisco. As California enters its fourth year of severe drought and the state’s snowpack is at record lows, California Gov. Jerry Brown has ordered a statewide 25 percent mandatory water usage reduction for residents and businesses. 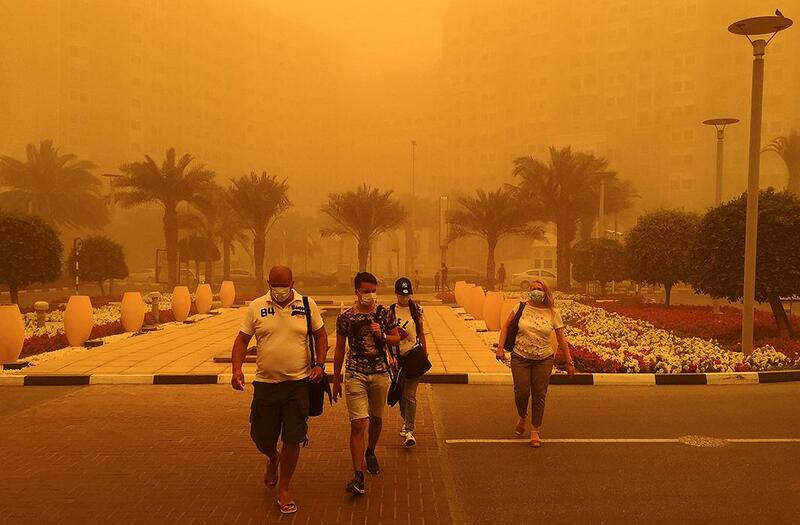 Foreigners wear medical masks as they walk in a street in Dubai amid a sandstorm that engulfed the city on April 2, 2015. A bleached “bathtub ring” is visible on the rocky banks of Lake Powell on March 28, 2015, in Lake Powell, Utah. 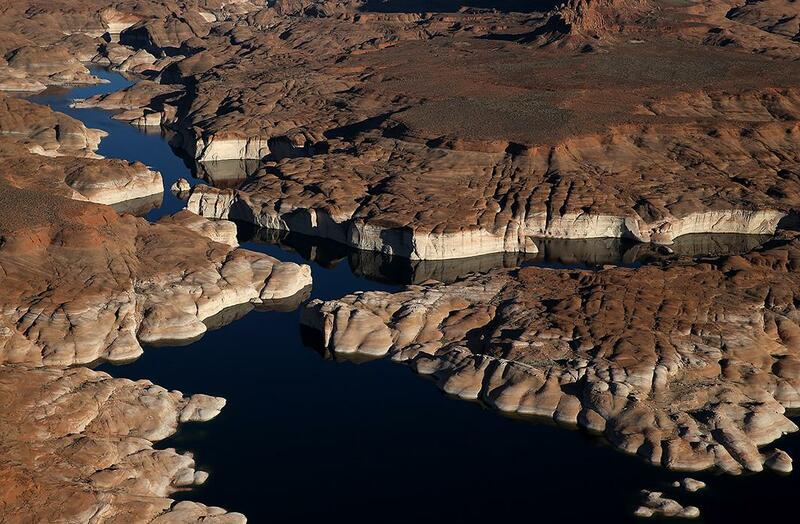 As severe drought grips parts of the Western United States, a below average flow of water is expected to enter Lake Powell and Lake Mead, the two biggest reservoirs of the Colorado River Basin. 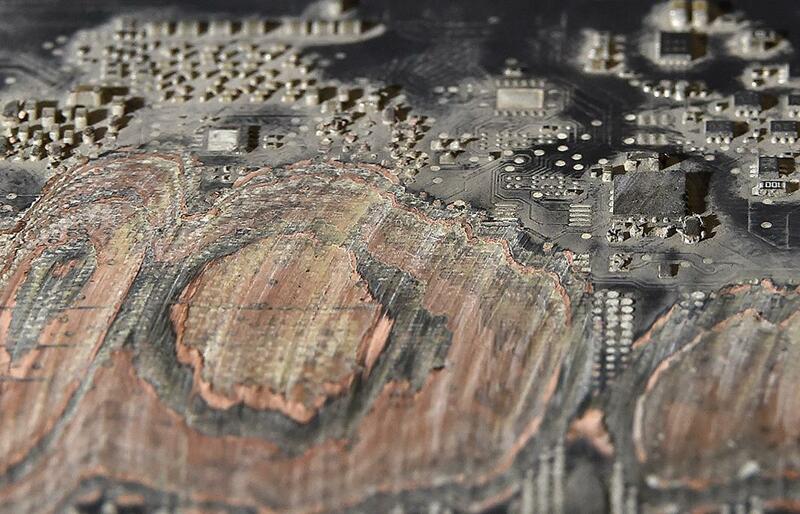 Close up detail is seen of the destroyed computer used by Guardian journalists to store documents leaked by NSA whistleblower Edward Snowden, on display at the Victoria and Albert Museum in London on April 1, 2015. 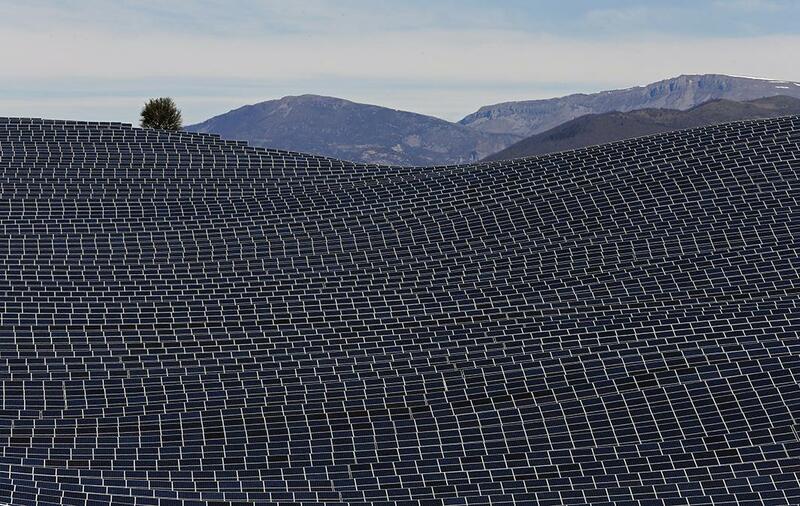 A general view shows solar panels at Colle des Mees, the largest solar farm in France, in the department of Alpes-de-Haute-Provence, southern France, on March 31, 2015.